The CentorMail TURBO/Turbo EX is perfect for high volume accounts. 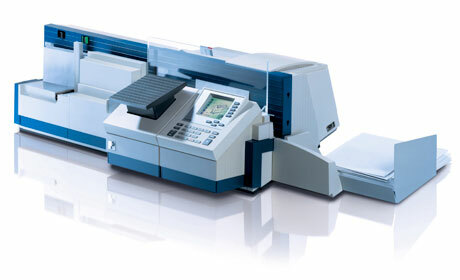 This digital mailing system offers an array of unique features, including a vertical feeder that processes true mixed mail without pre-sorting. This digital system is SBP-(shape-based pricing) and IBIP-compliant, has dynamic weighing, an integrated scale, intuitive operating settings, HP Inkjet Technology, automatic secure access to postage downloads, and processes up to 120/140 letters per minute.